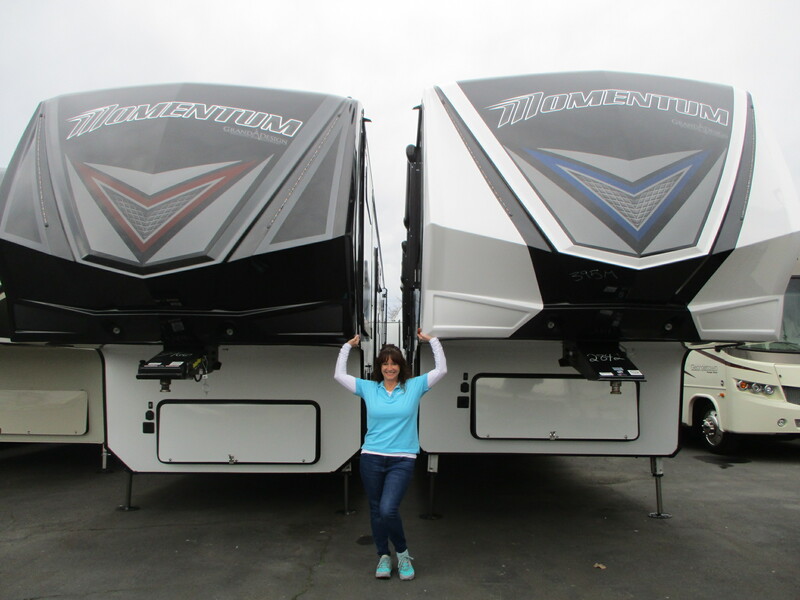 Franceska Barker next to the beautiful Momentum Toyhaulers. Franceska Barker is a top sales performer at Happy Daze RV and the number one sales representative in the nation for Grand Design RV. We think that’s a pretty big deal and are extremely proud of Franceska! Grand Design carries the following products; Transcend, Imagine, Reflection, Solitude and Momentums. Her knowledge is not limited to just Grand Design RVs. With over 14 years’ experience in the industry and an avid camper herself she is extremely knowledgeable in the RV industry. Franceska loves educating her customers about RVs, almost as much as she enjoys finding her customers the perfect RV for their family, lifestyle and budget. It’s probably no surprise that one of her favorite activities is camping! Her other passion is her grandchildren. Like most grandparents, she adores her grand kids and loves spending time with them. Family outings and camping, no wonder she loves what she does for a living!